Apple iPad Mini has officially been launched from Apple but with the starting price of $329 which is very much expensive and not everyone afford to have it or at least purchase it from their small pockets. 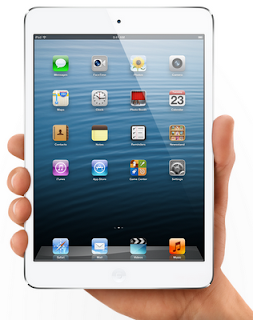 So here's good news for costumers who wants to purchase iPad Mini in Cheap Price of just $99. Chinese clone maker company named "GooPhone" is going to launch a iPad Mini Clone Tablet for just $99 in November, 2012, which will be a gift of Christmas for those people who wants to experience a real iPad Mini tablet but in cheap price. iPad Mini Clone tablet will be available for consumers worldwide from November, 2012 after the release of real and genuine iPad Mini from Apple. iPad Mini Clone tablet will be featuring some promising hardware and software technology including a large 8-inch screen resolution with 1024 x 768 display size with a strong power of a dual-core 1.4 Ghz processor, 1 GB RAM and 8 GB built-in storage capacity. iPad Mini Clone tablet will also have a front camera of 0.3 mega-pixel and back camera of 2 mega-pixel for still images and recording videos but users will be pleased to know that iPad Mini Clone tablet will be powered by Android 4.1 Jelly Bean mobile operating system through which users can install and play Android Apps on the go with Wi-Fi wireless connectivity and also have a Bluetooth, GPS and a micro USB plug and possibly SD card reader. iPad Mini Clone tablet will have a have a slim aluminum body. Android 4.1 Jelly Bean will be pre-installed in iPad Mini Clone tablet but just to make sure that their customers get the full satisfaction and establish Apple iPad Mini experience, the Android OS comes with a standard iOS 6 skin to make it even look real and genuine Apple iPad Mini software. So what are you waiting for? Get $99 iPad Mini Clone tablet with Android 4.1 Jelly Bean from GooPhone in a cheap price.